Estonian Prime Minister Jüri Ratas arrived at the World Economic Forum’s annual meeting in Davos, Switzerland, in late January with praise for his country’s digital identity program. Estonia has one of the world’s foremost digital identity programs, which allows its citizens to use their identities to vote, buy medication, sign documents, and more. Our digital identity isn’t just about Social Security numbers and names — it’s all about context. Our behavior at home differs from when we’re traveling or at work, and our digital identities should operate in accordance with those distinct behaviors. This kind of context will dictate the future of identity. It isn’t just about attributes populating a database — it’s about building an evolving information repository that safely supports a person’s lifestyle and decision-making. We’re used to looking at identity through the lens of the system of record, one where everything about you can be summed up in neat, tidy spreadsheets. But we’re simply not comfortable being so open with such delicate pieces of information, especially in the aftermath of significant hacks to systems like Equifax, Sony, and Yahoo. What many people are comfortable sharing is their background information, their employment histories, and even their hobbies. This type of personal information can be just as useful in identifying us without making us feel like we’re exposed to the outside world. It’s the type of information that marketers use when creating ads and placing ads on Facebook; it’s even the information we mine when meeting or dating a new person. Why not lean into this version of identity? As an end user myself, I’m willing to share special information in an automated fashion so long as I’m not sharing sensitive information with you. This type of sharing gives the company access to valuable sensory and contextual information and introduces me to better products and services. Though that might sound a bit abstract, I think we can look at it as an evolution of identity. Not only that, but it’s a type of personality that’s more conducive to innovation, especially in an increasingly automated digital world. For instance, dating apps like Bumble allow users to connect their Spotify accounts to their profiles; a feature helps users form more immediate connections without having to provide more sensitive information. This isn’t to say that there’s no friction in this new digital identity. Despite the potential for better personalization, some customers still don’t want to share any of their data. Innovative entrepreneurs and researchers should see this as an opportunity to empower the next generation of personalization tools and services. Blockchain startups, for example, are quickly realizing that this trusted distributed ledger is preferred by many over single companies like Facebook or Google holding all the cards. What’s important to note here is that blockchain isn’t incremental in innovation — it’s as disruptive as Tesla was to the automobile industry. Contextual data is a radical innovation with a new engine that doesn’t require burning fossil fuels. It’s a game-changer, and those that leverage this digital identifier will evolve along with it. The information in a digital identity shouldn’t just feel unique to a user; it should feel safe from unwanted intruders. 1. Create a transaction framework. We created an excellent communication framework in the form of the internet. It lets us view video from another location, FaceTime with family and friends, and even move data anywhere in the world. A transaction framework is needed on top of this layer to connect the internet with emerging solutions such as AI, IoT, and edge computing. Blockchain’s distributed and decentralized ledger is the latest innovation in this space. 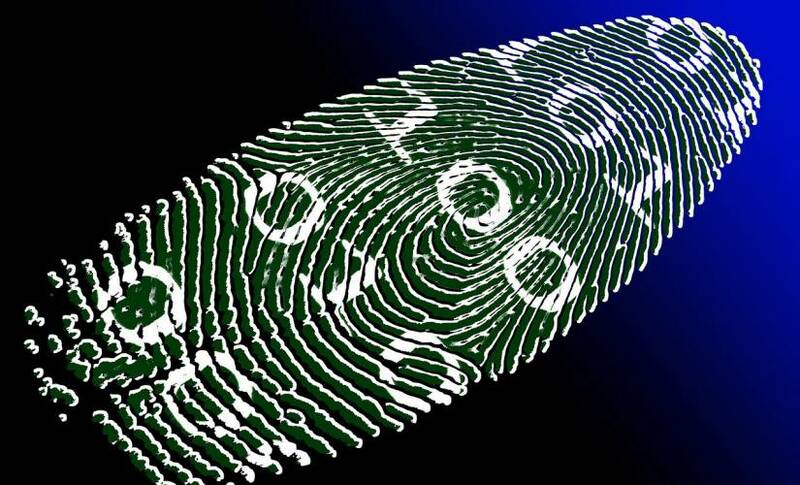 Startups are already leveraging this technology to create and protect transactional digital identities. More importantly, the public is starting to accept this technology. Bitcoin Market Journal estimated that 22 million customers used the cryptocurrency in 2018. A transaction framework puts the necessary infrastructure and safeguards in place to foster a secure storage space for digital identities. 2. Leverage encryption and machine learning. With legacy tech giants like Google and Facebook losing trust, the internet is already evolving, and one way is through the use of machine learning and personalization on encrypted data. From a storage point of view, it’s no longer necessary to depend on large data warehouses to be centralized data repositories. Data can be split and encrypted to ensure that each person connected acts as a node without ever having access to the files they store. Pretend my personal data is a pencil. I can wrap tissue paper around the pen and hand it to you, and you’ll know it’s a pencil. You may not know the exact specifications of the pencil, but you understand through context what I’m giving you. This environment is ripe for AI disruption. Machine learning will dominate this space within the next decade as algorithms learn to identify you by your transactions. 3. Implement privacy by design. Government regulations around the world already are working to embed privacy into every new design. Regulations like the European Union’s General Data Protection Regulation and the second Payment Services Directive are creating a privacy-conscious ecosystem that makes many businesses scoff, but I think it’s a positive note. The definition of identity is changing in the way that we no longer need to reveal sensitive information to receive personalized offers and services. Thanks to companies like Deloitte, anyone can implement Privacy by Design into their business to ensure the implementation of 30 pieces of measurable privacy criteria and 107 privacy controls. If you can pass the Privacy by Design criteria, you’re prepared for the coming changes. Human identities evolve constantly, and with the emergence of digital identities, the way we view data — and ourselves — is also changing. We’re at the dawn of a new, trust-based world. How are you preparing?